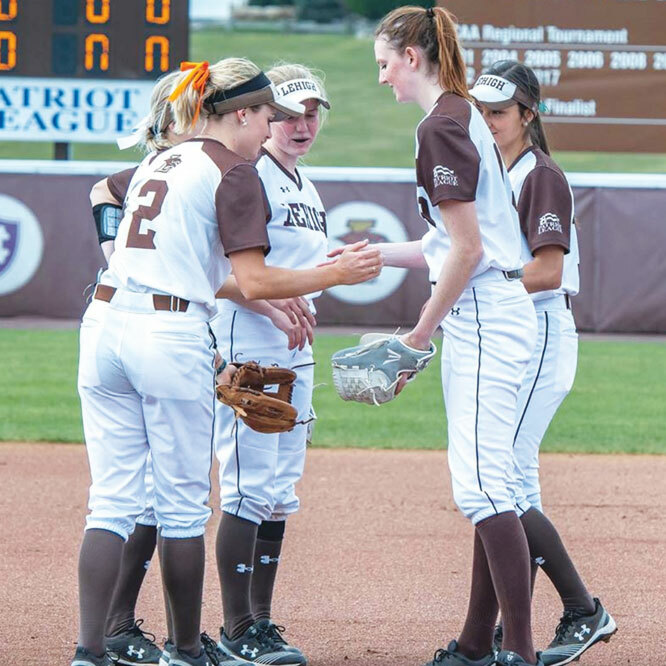 Recognized among the nation’s premier research universities, Lehigh offers a rigorous academic community for over 7,000 students. Nearly five dozen Lehigh students, along with faculty and staff facilitators, participated in a six-day leadership retreat in the Poconos focusing on self-examination, community building and activating visions for the future. 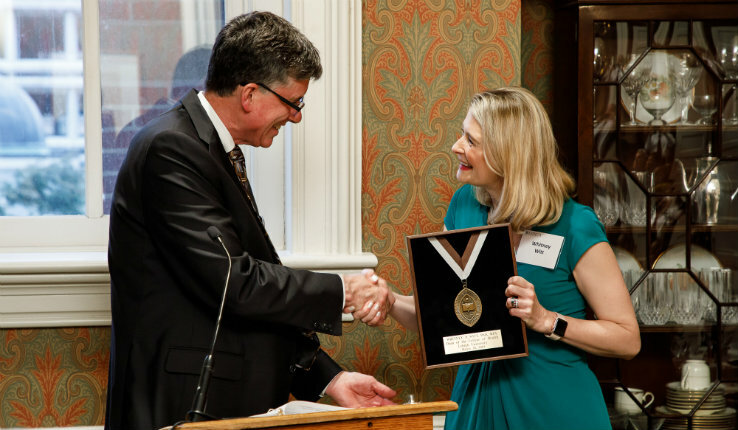 Provost Pat Farrell presented Witt with a Lehigh medallion during a dinner at the President's House. 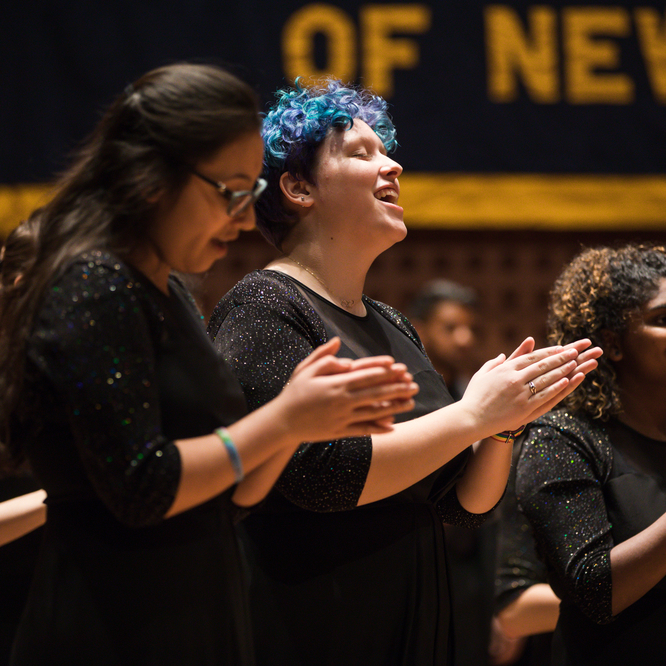 On March 29 and 30, in a concert called Shine On in the Zoellner Arts Center, Choral Arts traced the history of choral singing at the university. 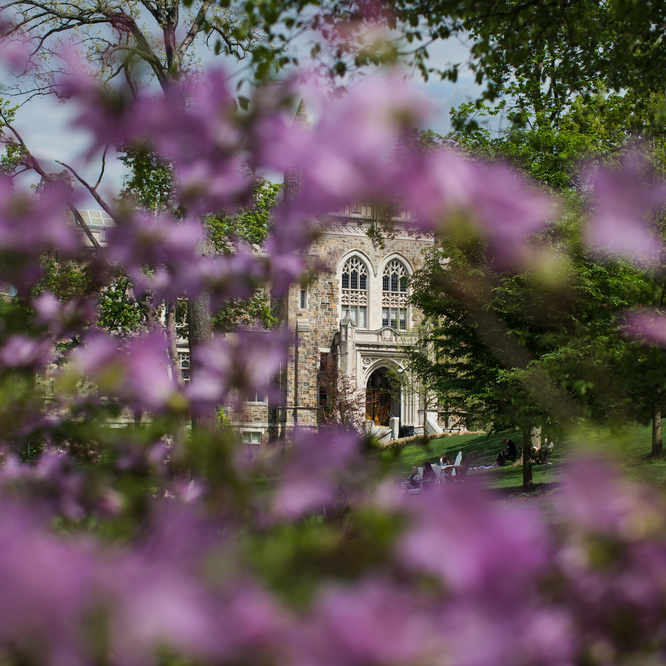 Lehigh is making a $3-million institutional investment in a multidisciplinary research initiative that promises to change the way human beings harness and interact with data. 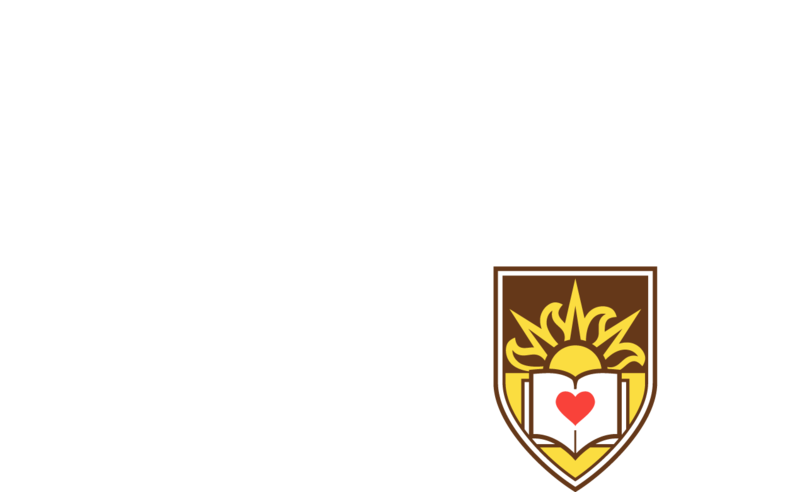 From the classroom to the community, here on campus and around the world, Lehigh students, faculty and alumni are working to enact positive change. 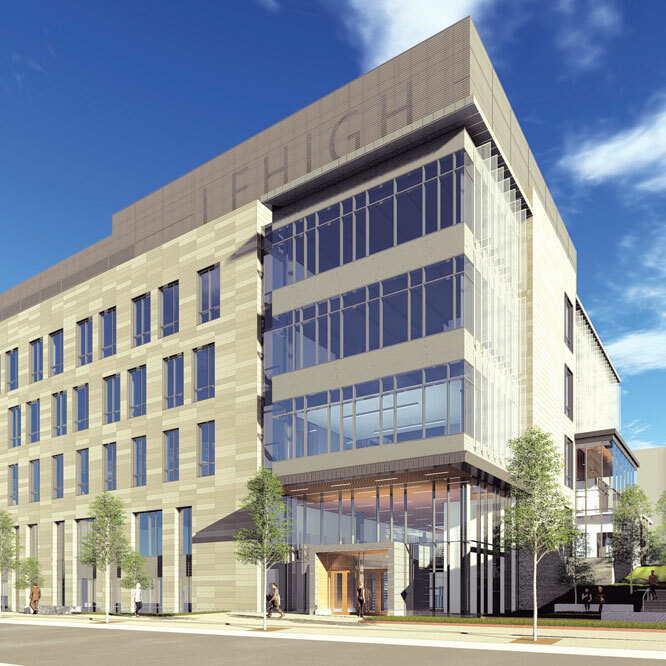 Lehigh hired John Ochs in 1979 to develop labs and improve its approach to design education. Ochs did that and more: He founded the Technical Entrepreneurship (TE) program and brought the Kern Engineering Entrepreneurship Network (KEEN) to Lehigh. Ochs is retiring after 40 years of impact. 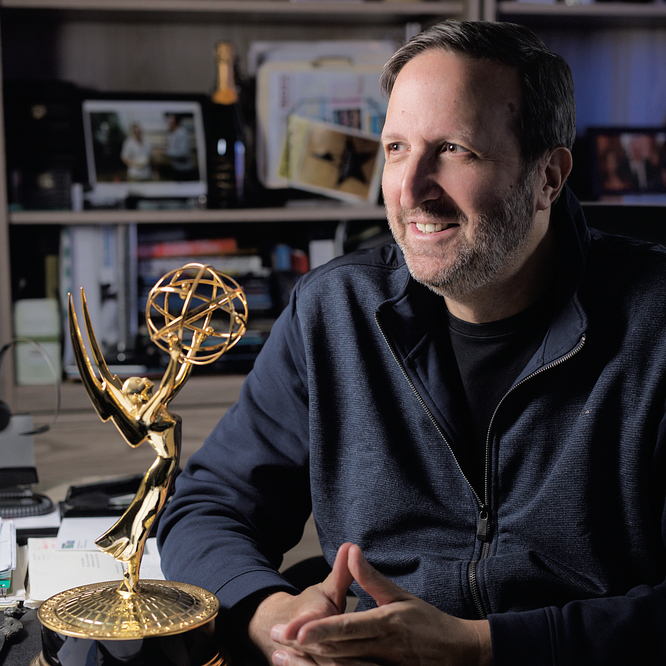 “It’s time to let other people—the next generation—figure out how to keep improving engineering entrepreneurship education, and I wish them all the best,” he says. After receiving her Ph.D. from Lehigh's College of Business and Economics, Lea Giménez '12 Ph.D. found herself far from South Mountain serving her native country of Paraguay in a critical and unprecedented way—as Vice Minister of Economy in the Ministry of Finance. In a country where women usually do not hold public decision-making and leadership roles, Giménez has made history as the first woman to hold the position. When Afghan Fulbright scholar Sayed Kalimullah Abed graduates this spring, he will be the first person in Afghanistan to have received a master’s degree in special education from the United States. He will begin Lehigh’s doctoral program this fall, with the goal of becoming the first in his home country with a Ph.D. in special education. “I am here because I want to bring change and do something,” he says. When the cherry blossom trees bloom we think about changing the school colors to pink and green. 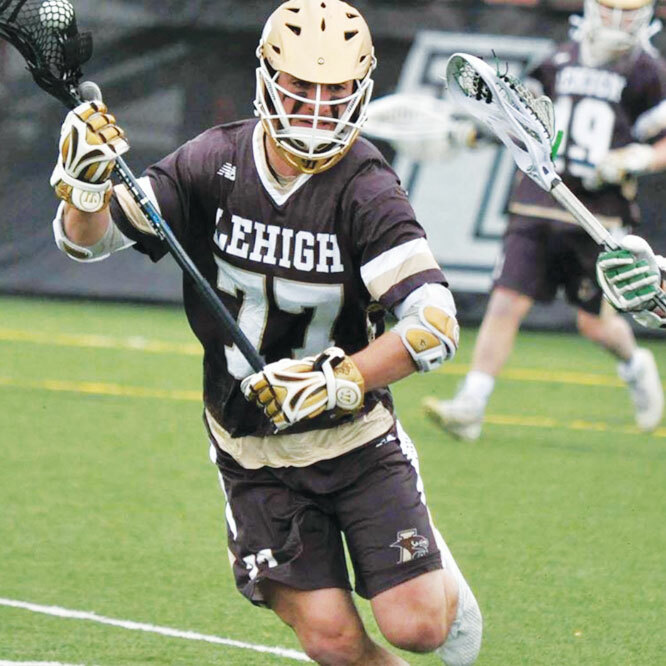 The top 20 nationally ranked Lehigh Men’s Lacrosse team is having a record-setting season this spring. 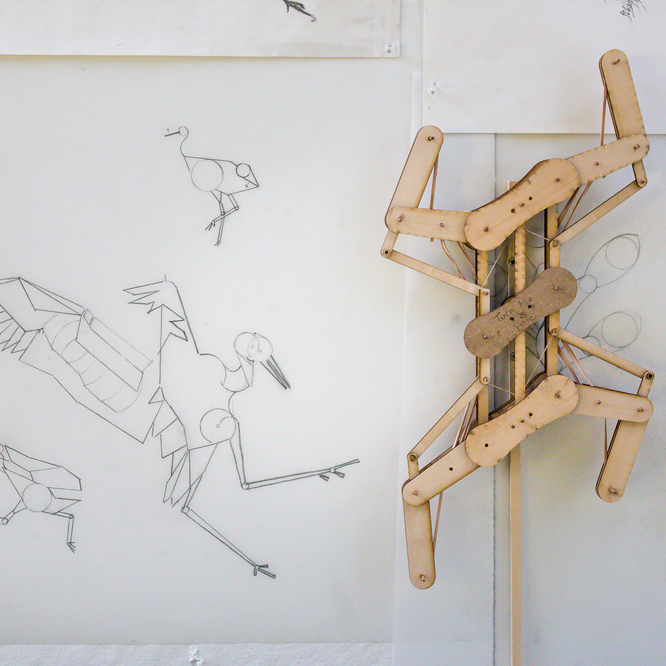 Students create crane-inspired models in their Arms, Wings and Mechanical Things class. The HST Building will be home to our new College of Health. 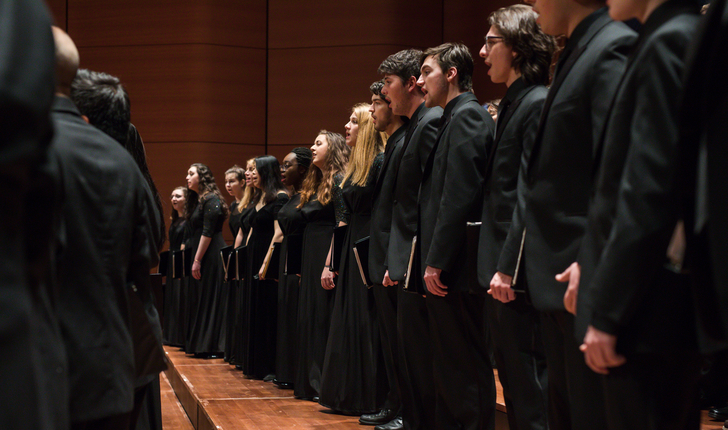 Lehigh Choral Arts celebrates 150 years of organized singing this year. 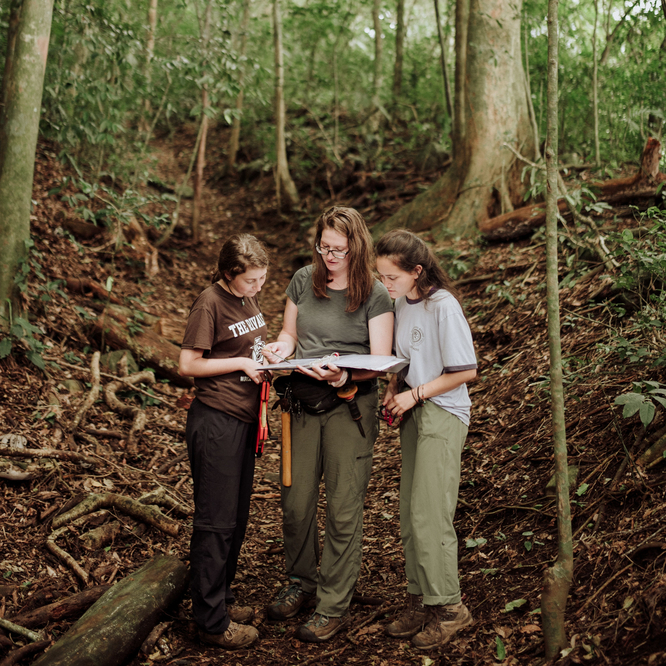 Lehigh students studying in Costa Rica during their winter term, investigating the philosophy of and approaches to sustainable development. 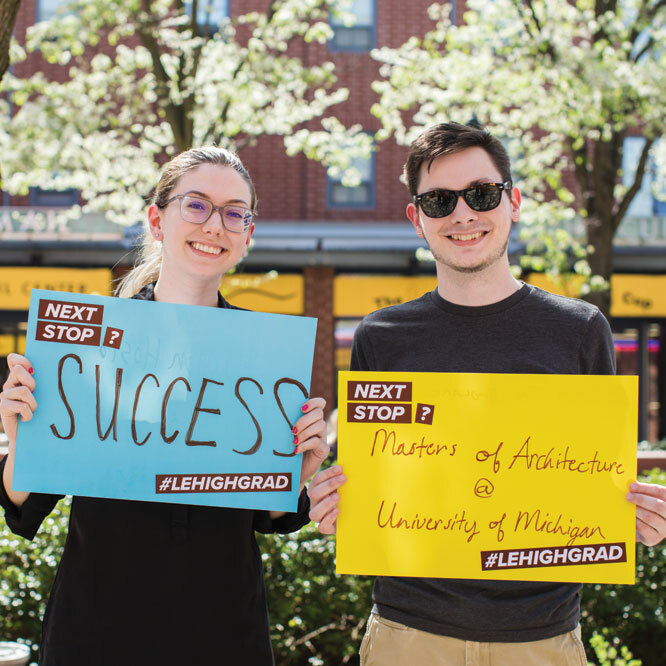 Each spring we look forward to hearing all the places Lehigh grads are headed. 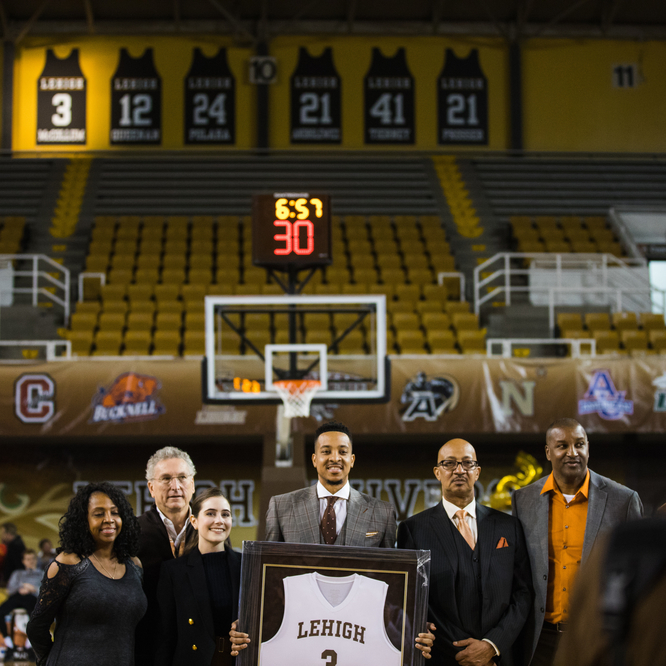 The men’s basketball team retired the jersey of CJ McCollum ‘13, shooting guard for the Portland Trail Blazers. Baker Institute’s Chris Kauzmann mentors students during the 2019 Lehigh Silicon Valley program. 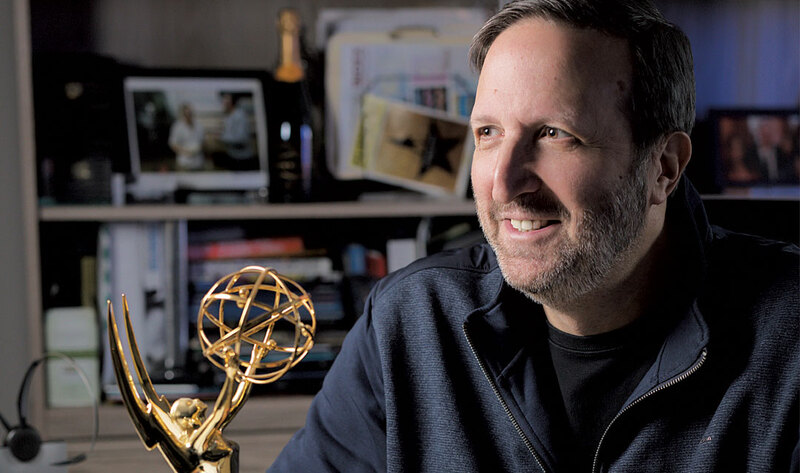 Ricky Kirschner, ‘82 has been the executive producer of the NFL Super Bowl halftime show for 13 years. 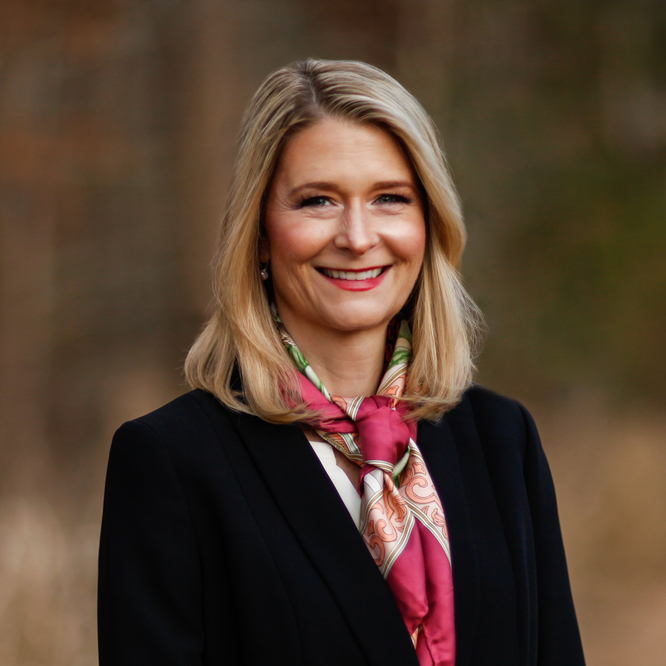 Whitney P. Witt, the inaugural dean of the College of Health, previously served as director of the Center for Maternal and Child Health Research at IBM Watson Health. 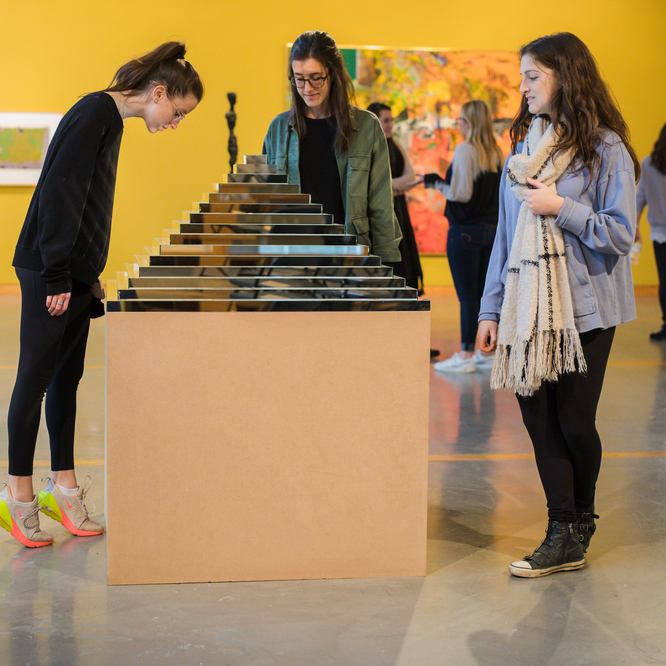 The “Purposeful Curiosity” class visits the Art Galleries to discuss collections. 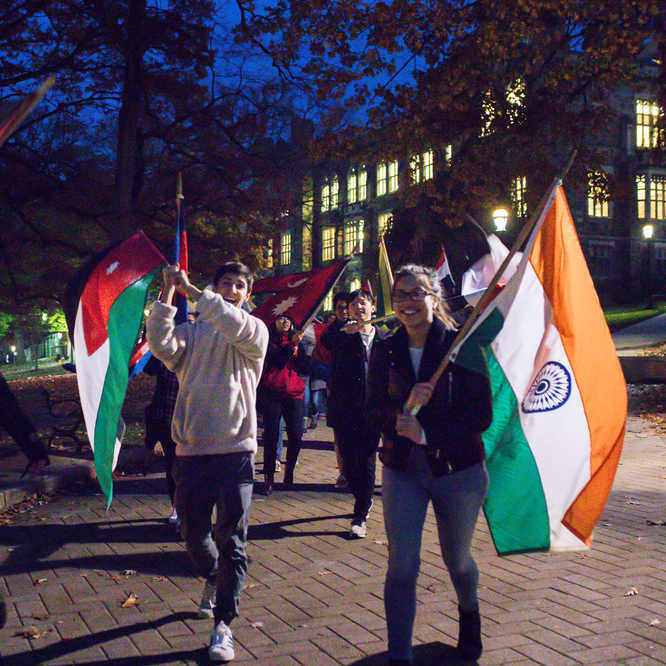 International Week celebrates our diverse population with great events and programs. 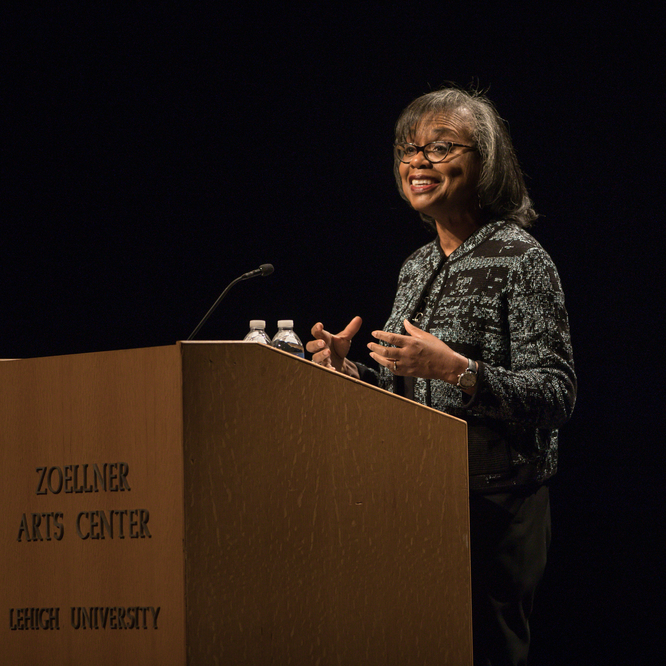 Women’s rights icon Anita Hill delivered Lehigh’s MLK address in Baker Hall. 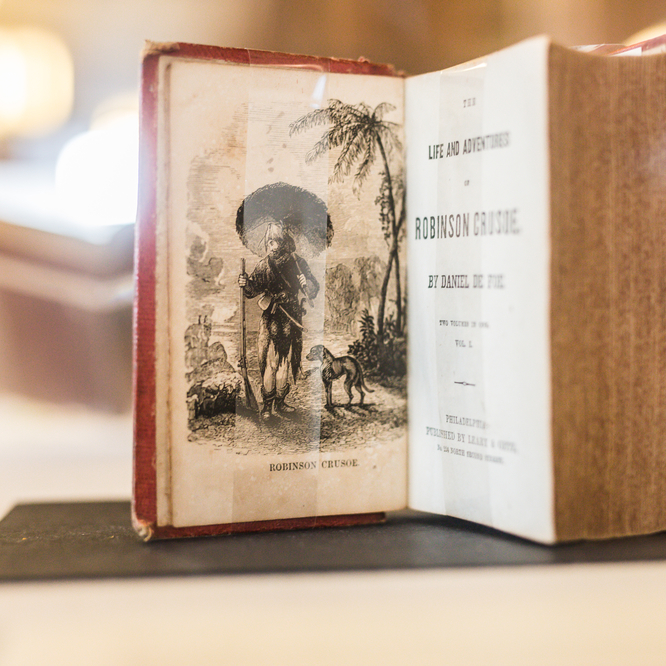 Lehigh Special Collections’ exhibit celebrates the 300th anniversary of Robinson Crusoe. 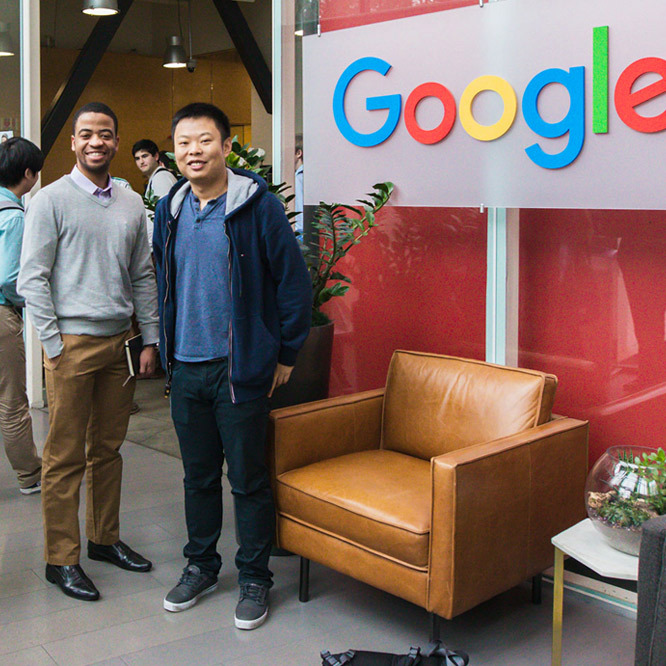 Lehigh students immerse themselves in the dynamic world of Silicon Valley. 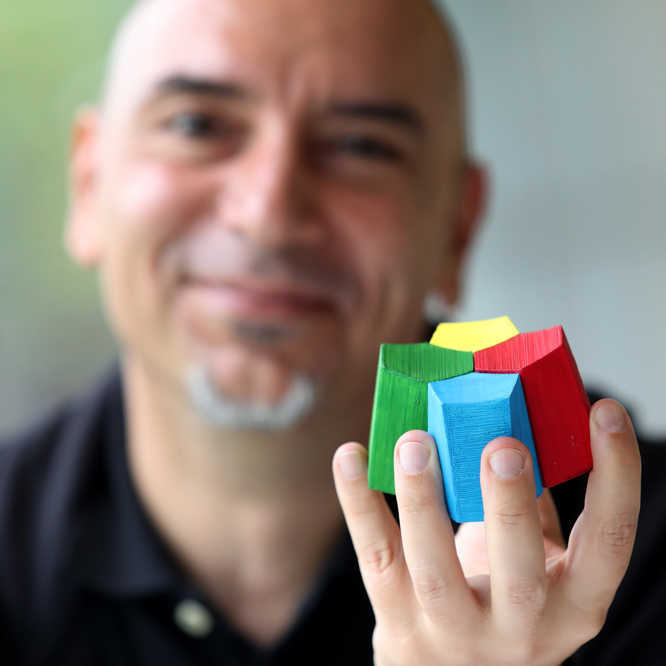 The scutoid is a new geometric shape discovered by a team of biologists & bioengineers including Lehigh’s Javier Buceta. Former U.S. 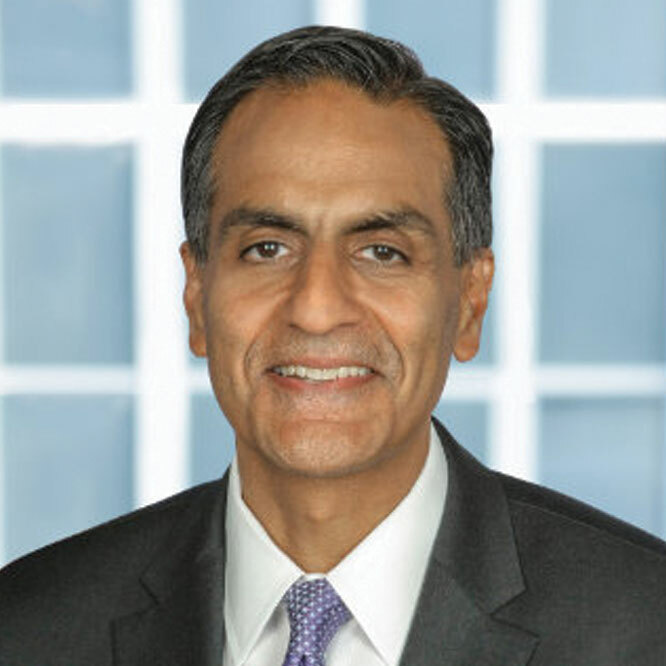 Ambassador to India, RIchard Verma, ‘90, is this year’s commencement speaker. 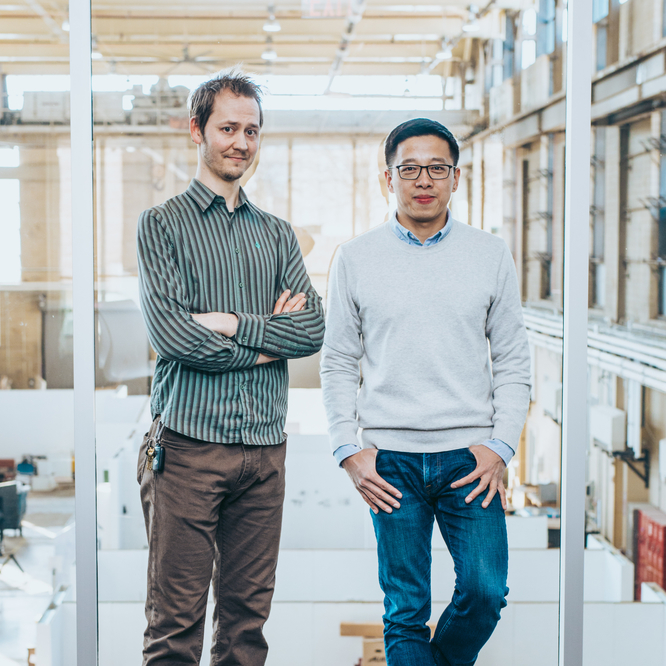 Professors Ting Wang and Eric Baumer recently received NSF career awards for their engineering research. We are a university that knows the answers the world needs are bigger than one person. We are bold, creative and driven on our own. Together we are genius.